What is Advanced HDR Photography? What Does HDR Mean For Real Estate Photography? The short answer for what does HDR mean is High-Dynamic Range. Ok, so what does that mean? It means that the photograph contains multi-exposures (3-image or 3-shot burst) to balance the lighting from the dark-darks and the light-lights so you have the most image information to create the best possible image. For example, when you take an HDR photograph inside the room, you can still see through the windows or into the shadows around the furniture—a lot of the image is exposed so you can see everything. Traditional camera settings and editing will blow out the windows (solid white) to where you can’t see through them or you’ll have a lot of reflection on shiny surfaces that are completely white. The HDR technique will help reduce over exposure so you can see what the eye sees and maybe a little better. What is Advanced HDR Images? Advanced HDR is something that is beginning to make its way into mainstream real estate photography. Not only do you have HDR (a 3-shot burst for proper balance), but you have flash photography to create what is called a flambient image. Flambient is combining ambient-lit images with flash images to create a well-balanced commercial look of your home. This technique does not deceive the buyer on what the home looks like, but it accentuates how the home, space, and colors look by balancing colors and shadows with flash photography. This technique has a steep learning curve and can take two, three, or even four times the amount of time to edit as it does to shoot the home. What Do Unlimited HDR Photos Mean? Unlimited means however many images it takes to showcase the home properly. And unlimited HDR means that you’ll have unlimited multi-exposed images (professional and high-quality). It also means that if you want pictures of the backsplash, appliances, or other details of the home—it’s already included in the package. If your home has HOA’s, what do the HOA’s cover? A playground, swimming pool, or a workout room? Does it cover a clubhouse? My Real Estate Marketing Package comes with any images you need so you can justify the HOA. All these things is to showcase your home—your listing—to make sure that all buyers understand what’s included in your home. How Long Does Real Estate Photography Take? Real estate photography can take an hour and a half to four hours to shoot a home properly. If you’re doing HDR, flambient shots, and aerials, your photographer will be at the home for some time to ensure that all shots are take properly. If there are amenities to photograph, shopping centers, schools, or community playgrounds near the home you want photographed—you’re looking at some extra time to take the photos. 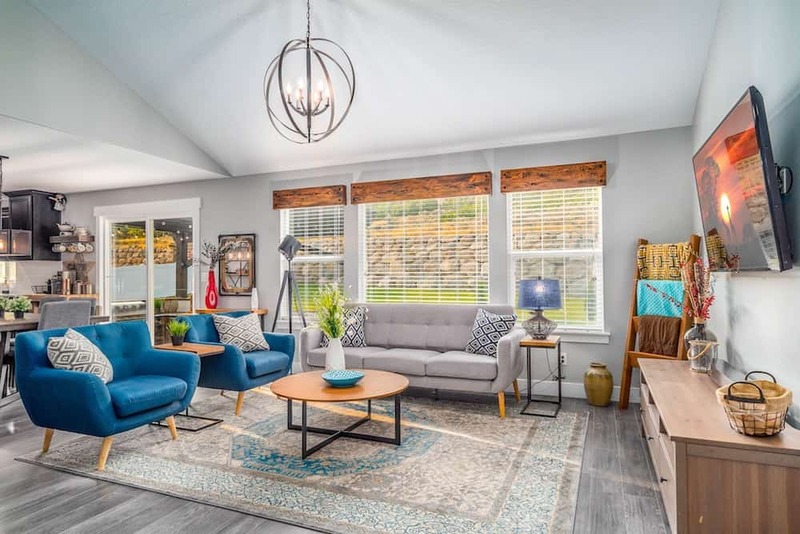 Now that you’ve seen a glimpse of what’s involved or available with high-end real estate photography, you can better appreciate the time and effort it goes into this skill set. When you see someone charging $99 or even $150 for your home, think of what type of quality you’re getting and how long someone is taking on, not only taking the photos of your home, but the time to process the photos. Just as you ask your clients to pay 6% to list their home, the same care you take for your clients should be the same care your photographer has for you and your listing—premium.